Installing braille signage is a great way to ensure your organisation is disability friendly, and keeps up with the changing business and building codes. 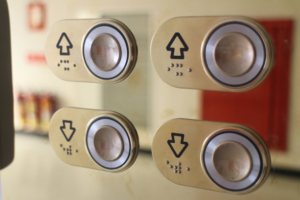 Some examples of sign applications are braille bathroom signs, braille door signs or even building access signage such as entrances and lift access, to ensure all your foot traffic is directed to the right places efficiently. 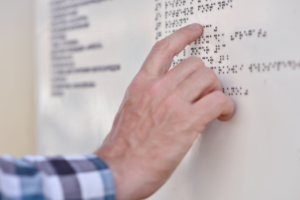 Being one of the most recognised providers of braille signs in Australia, we specialise in a range of accessible signage, and is across all the Australian standards and compliance codes. This includes specification BCA D3.6 braille signage in accordance with AS 1428 standard. Speak to our expert team for more information about custom braille signs or any other accessible toilet signage needs. We’re more than happy to identify which signs you may need for your organisation, and help create a custom sign that is based on your specific signage needs.